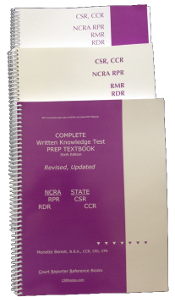 Must-Have Test Prep for NCRA’s RPR, RDR, State CSR, and Civil Service Court Reporting Tests — Study The Purple Books To Pass The First Time! 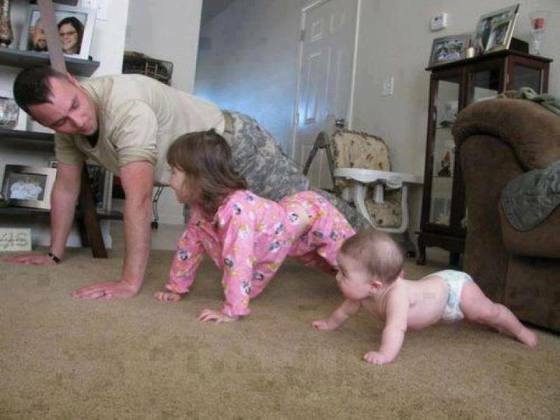 98% successful pass rate – 25+ years. DIO = Done In One. OTO = Only Test Once. Pedagogically sound, covering a wealth of material with facts, tips, and information the Purple Books from CRRbooks.com are time-tested and proven in the classroom with educators and with independent study. Questions and multiple choices on exams are not repeated, so don’t try memorizing them. Instead, learn how to take the test! You do not want to memorize words and answers. Workbook has 2,002 practice test questions. Companion Study Guide explains all 2,002 practice questions and each multiple-choice answer. 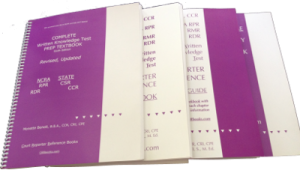 ~~~Textbook ties it all together in a purple bow with your name and your new certification! Dedicated to schools, instructors, students, reporters, and CART captioners. Be Done in Just One with the Purple Book Set. Full Pages = Full Focus. Designed by court reporters and educators for students, court reporters, CART captioners. Students: Need to pass a test? Worried about school loans? The Court Reporting Whisperer, Monette Benoit, wants to help you. Learn how to answer the question by studying the foundation of information for NCRA RPR, RDR, State CSR, and Civil Service court reporting examinations. Done In One = Only Test Once. www.CRRbooks.com ~~ Bring it! Monette, the Court Reporting Whisperer, may be reached: Monette@CRRbooks.com and Monette@ARTCS.com Monette Benoit, B. B.A., CCR, CRI, CPE, Paralegal Tutor, Motivational Management & Career Coach, Multiple-Title Author of Books & Test Prep for the Court Reporting and CART Captioning Industry Realtime Court Reporter, Instructor, Consultant, Columnist www.CRRbooks.com Blog: Monette’s Musings, www.monettebenoit.com * Educational/Career Advancement; Private Tutoring/Customized Coaching Have you failed NCRA’s RPR, RDR, or a state court reporting exam? “Get ‘eR Done in Just One” – as evidenced by the many students and professionals who study Court Reporter Reference Books to pass their RPR, CSR, and RDR exams on the first test. Testimonials are online — from students, instructors, program directors, CART Captioners, novice and senior court reporters, www.CRRbooks.com. ** Pedagogically sound, covering a wealth of material with facts, tips, and comprehensive information, the Purple Books from CRRbooks.com are time-tested and proven in the classroom with educators and with independent study. The “Complete NCRA RPR, RDR, and CSR Test Prep Textbook, 6th Edition” has greatly expanded testing tips, testing focus, NCRA COPE Ethics, grammar sections, plus — legal, Latin, court, English, grammar, vocabulary, medical, technology and computer chapters. www.CRRbooks.com The Workbook contains **2,002 practice test questions; the Companion Study Guide cross-references every word in the workbook’s 2,002 multiple-choice text practice questions. The “Full Test Prep Set” and “Trio Test Prep” – each listed on www.CRRbooks.com Monette will help you to pass your test and to exceed schooling and career goals. http://crrbooks.com/index.php?cPath=61 Did You Know: You can accelerate your career with private tutoring and career coaching? Court reporting veteran Monette Benoit can help you achieve your goals. Tutoring and career coaching topics include: • Motivational skills to keep you moving forward, • Time-management skills, • Process learning for more effective retention, • Development of skills to author your book, your blog, and how to publish, • Communication skills, daily interaction improvement skills, and much more. Who comes to Monette for tutoring and career coaching? • Professionals who want to achieve their goals, create new possibilities, advance their career, author their book, and to develop the dream within, • Veteran and novice court reporters, CART (Communication Access Real-Time Translation) providers, and broadcast captioners brushing up on their skills for test-taking requirements, • In-class students who feel they’re “stuck” and falling behind, or aren’t ready for the required tests, • Students and veterans who struggle with focus, goal-setting, time-management or other life skills that might be interfering in their upward success, • At-home students who want to ensure they’re on track for their exams and for their career goals, • Veteran court reporters, CART Captioners expanding their career options in related fields, • Students and veterans alike who find they’re struggling with key areas of daily practice, • Students or veterans who have begun to question their career or whether they’re on the “right track” … Check out: Reach Your Goals with Tutoring and Career Coaching http://crrbooks.com/index.php?cPath=29 Monette Benoit, the Court Reporting Whisperer, can help you achieve at much high levels. Where do you want to go? ** What have you ‘really’ wanted to do with your career, and ultimately, your life? * No two are alike. Specific custom-designed guidance efficiently assists you! About Monette Benoit: As a 25+ year court reporter, CART Captioner, author of NCRA test prep material, and an instructor, public speaker, Monette Benoit has taught multiple theories, academics, all speed classes, and the 225 homeroom within NCRA-approved schools and a community college. She understands the challenges many adults now face in our industry and schooling. Monette Benoit has worked with thousands of professionals, court reporters, CART Captioners, students, and instructors. She has also helped to create new court reporting training programs, worked with federal grants, and assisted instructors in developing curriculum for both in-class and at-home students. Her one-on-one tutoring, private coaching, has greatly assisted thousands of students, novice and experienced professionals to privately reach the next level. Monette’s Musings is a blog containing information for busy professionals, students, and individuals who are fearless and seek to create their success each day. Reach up. Bring it. * Bring it today! Hi. I am very anxious for the NCRA WKT CD Tutorial to be released. It would also be wonderful if there were an NCRA WKT CD for the CBC and CCP test. Thank you very much. Can I use your books for the Texas CSR? *** Absolutely! The books were originally created for the Texas CSR and the RPR (in that order). We have had much success with TX CSR candidates for many, many, many years. The ‘Purple Books’ prepare students and reporters for NCRA’s RPR, RDR, and State CSRs. DIO = OTO === Done In One = Only Test Once.